Looks like I saw your kickstarter a year late… Think you’ll run another one? I’d definitely do some major pledging; your series is fantastic! 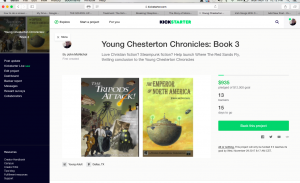 Next post: Check out Chesterton Press!